2018 was an exciting, or should we say dismal, year for ecommerce companies and internet sales tax laws. The South Dakota v. Wayfair ruling in June 2018 started a wave of new online sales tax laws that states quickly implemented. This wave has created an absolute mess for ecommerce companies to navigate, and it just continues to get messier. If you are still deep in the mess, or don’t even know what we are talking about, make sure to download our “10 Steps to Ensure Sales Tax Doesn’t Burn Down Your Ecommerce Business”. 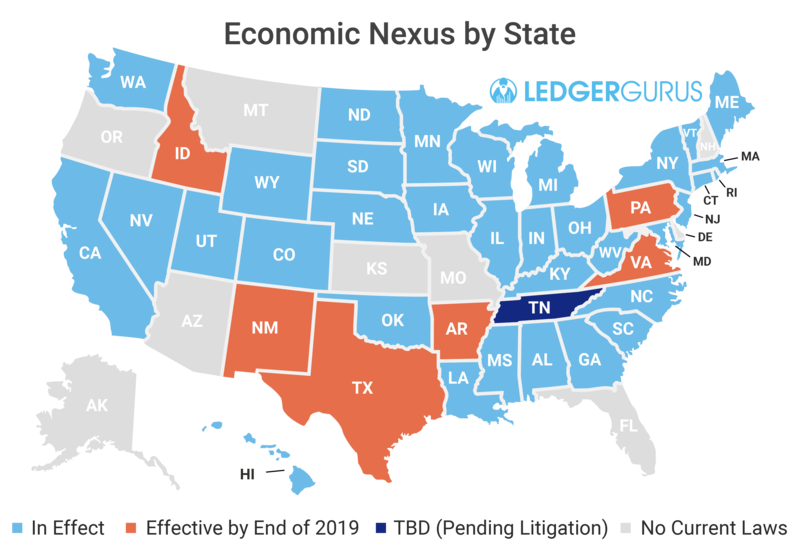 It is also important to note that in January of this year (2019) New York announced an economic nexus law with a threshold of $300K AND more than 100 transactions. But New York’s effective date is immediately after the Wayfair ruling, which was June 18th, 2018. Therefore, businesses meeting these thresholds may be required to retroactively remit sales tax to the state of New York…this isn’t a joke, but a real thing some states are doing…ridiculous! Hopefully these are the end of the 2019 internet sales tax updates for economic nexus. Unfortunately, states are still moving quickly to benefit from internet sales tax laws. Make sure to subscribe to our blog in the sidebar to stay up-to-date on changes, and check out this blog for frequently asked questions about online sales tax.